A quick glance at this week's New York Times list of best-selling YA titles will make one thing very, very clear: John Green's books have been on there for a long, long time. At number one is Paper Towns, which has remained on the list for an absolutely amazing 116 weeks! (And, being honest here, it's one of his that I haven't read, but I do have a handful of students currently carrying it around). Hello, readers! My very first novel, AGENT DARCY AND NINJA STEVE IN...TIGER TROUBLE! is now available on Amazon! It's available in paperback and on Kindle. It's a story about secret agents, ninjas, robots, and ghosts. So if you understand that spin kicks, spy tech, and ghosts are awesome, then this is the book for you, no matter how old you are! Hey readers! Over at EpicReads, you can find a "timeline" that breaks YA books down by the time period they are set in and also gives a few landmark dates for authors and novels. I hope the fact that Clary is a smart, strong girl who faces down her fears will make readers think, She gets scared just like I would, but she still fights for what she believes in. And I hope it might even help them believe that they don't have to be perfect to fight for what's important to them. Click that quote above for the link to the article! My First Book is Out on May 4th! Hello, readers! On May 4th, 2015, my very first novel will be available on Amazon! I cannot wait for you to be able to read Agent Darcy and Ninja Steve in...Tiger Trouble! It's a story about ninjas, secret agents, ghosts, robots, and adventure. You'll find spin kicks, sword slashes, and sneakery. There are rivalries, old grudges, and romances. I suppose it's aimed at a 10-14 year old audience, but I honestly think it's suitable for anyone who still remembers how to be an imaginative kid at heart. So, let's say it's for ages 8 to 800. Head on over to my official website for more info AND a free 50 page sample! Written by Grant Goodman, 4/8/2015 Dark YA starts with William Golding’s Lord of the Flies, the tale of a plane full of boys that crash-lands on an island. The only adult (the pilot) is killed on impact and the kids are left to fend for themselves. What follows is a tale of adolescents torn between holding onto order and letting themselves become wild beasts. I feel like a lot of people missed out on Scott Westerfeld's excellent novel, LEVIATHAN. It's an alternate history version of World War I in which the Germans have developed giant armored war machines and the British have found a way to reconstruct animal DNA in order to create battle-ready animal-vehicle hybrids. "'the vein of 'Star Wars' and will tell of a boy's 'unlikely alliance' with an enemy." Written by Grant Goodman, 3/2/2015 Today I was wondering what the YA sales charts for Amazon look like in other countries. Readers, you know what it's like when you don't have a bookmark. This video from EpicReads covers it perfectly. VIDEO: Neil Gaiman Reads "The Day the Saucers Came"
This is my favorite Neil Gaiman poem. At least, right now it is. This is a poem, as Neil puts it, "about the end of the world...or maybe it's just about paying attention to things." Now it's time to trust Rick Riordan. Cece Bell tells the story of a young girl (rabbit?) growing up with a severe hearing impairment. She does a great job tackling the subject with humor and pathos, letting us see the world through the narrator's eyes (and hear through her super Phonic Ear). Along the way, we meet pushy friends, clueless peers, helpful teachers, not-so-helpful siblings, and a whole cast of other characters that any kid can relate to. Raina Telgemeier is the author and illustrator of several excellent graphic novels that you absolutely have to read. SMILE was her first and it's her story of a terrible fall that caused her to lose her front teeth, but also about what it's like to go through school when you're also dealing with heavy dental surgery. SISTERS is her most recent and it's about...well, just watch the video below and she'll tell you all about it. Written by Grant Goodman, 2/16/2015 Time travel. Rocket ships. Wizards. Dystopias. Gayle Forman, author of If I Stay, just put out an article in TIME magazine. She dives head-first into tackling a tough topic: why do teens prefer literature that explores darker topics like war, abuse, and mortality. In other words, it's more than likely that teen brains are more receptive to stories that trigger intense emotions. 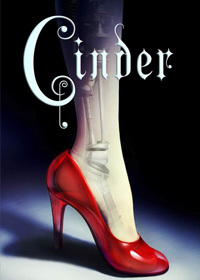 My guess is that some of you know about Marissa Meyer's Lunar Chronicles series. You know, the one that starts with Cinder. She went ahead and listed the 10 best books/series that she read in 2014. Since she's a YA author, you already know that she has great taste in books.